CINCINNATI -- It was late May of 1987. I had procured an assignment from Baseball America, then a magazine that catered to baseball insiders, to write a story on Ken Griffey Jr. The draft was approaching and Griffey, the Moeller High star, was going to go high -- possibly No. 1 overall. So I headed out to Oak Hills High School to see the kid play, although at the time he wasn't The Kid. That nickname would come later. There were probably 40 scouts at the game. Griffey proceeded to strike out twice, blow a routine fly ball in center field and get caught stealing. I think he ended up 0-for-4. I remember thinking: Is this guy really going to go first? I called a scout I knew who was at the game. "There were scouts from all 30 teams there," he said. "All 30 would pick him first overall. They see the bat speed, the arm, the way he runs." A few days later, Seattle did pick Griffey No. 1. It was the wisest use of a No. 1 pick in history. Griffey is the first No. 1 pick to make the Hall of Fame. And he was named on 437 of 440 ballots, the record for percentage. 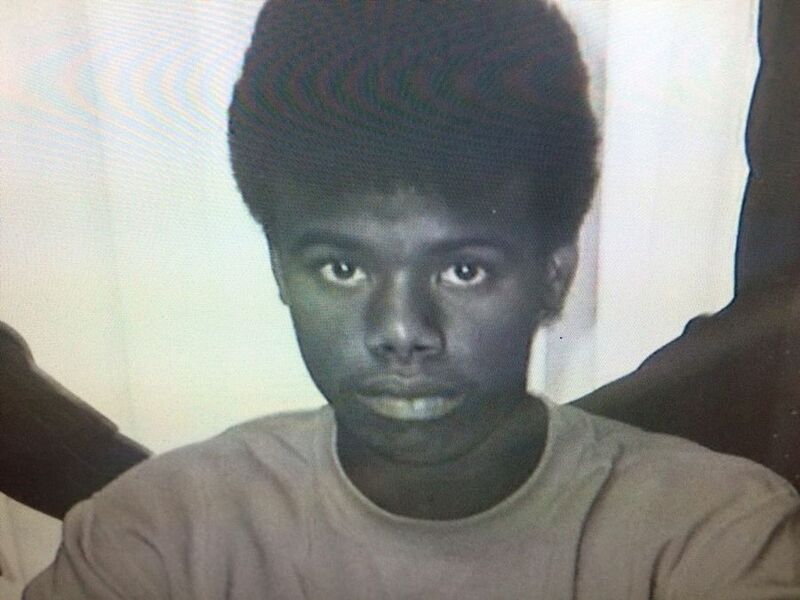 No one could have predicted that when they saw Griffey in high school. But Mike Cameron, then the Moeller coach, saw something special. 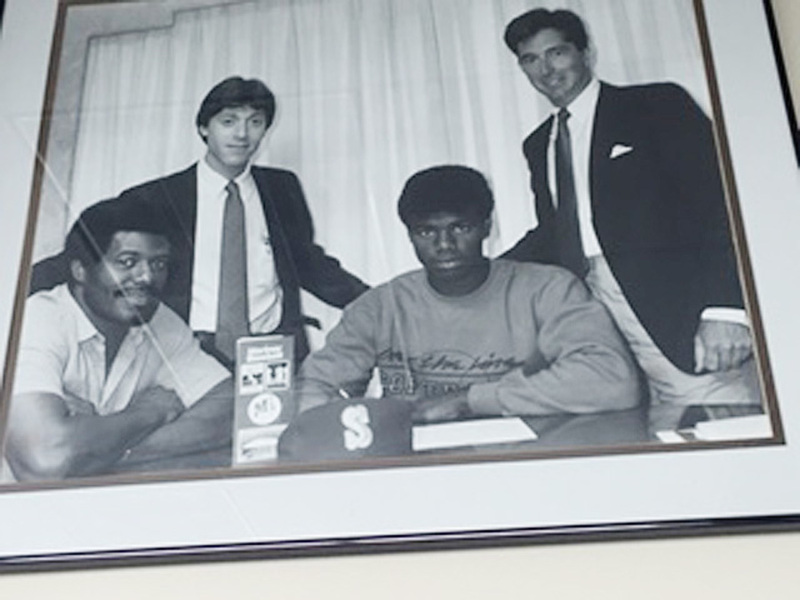 Cameron had coached big leaguers Buddy Bell and Barry Larkin by the time he got Griffey. 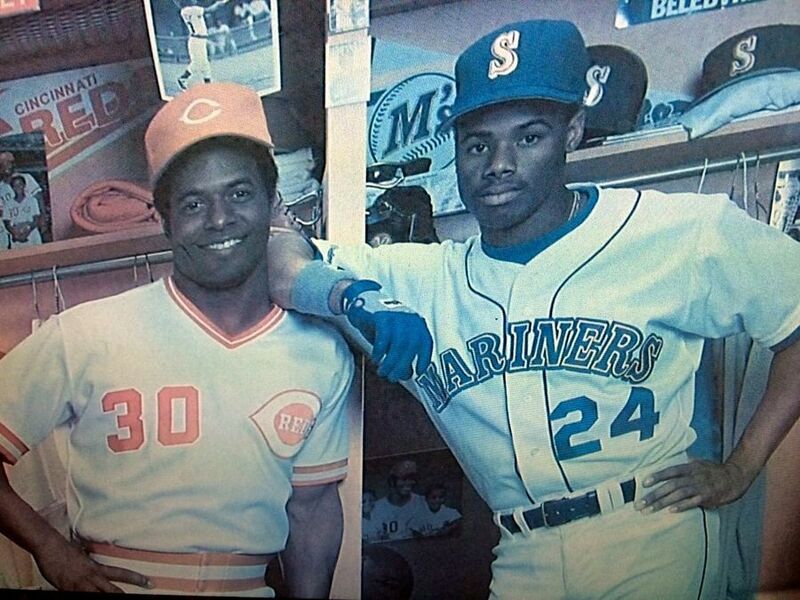 But Griffey was in a different class. He had grown up around the game, of course, as the son of Big Red Machiner Ken Griffey Sr. But it was more than that. Junior's talent just jumped out. 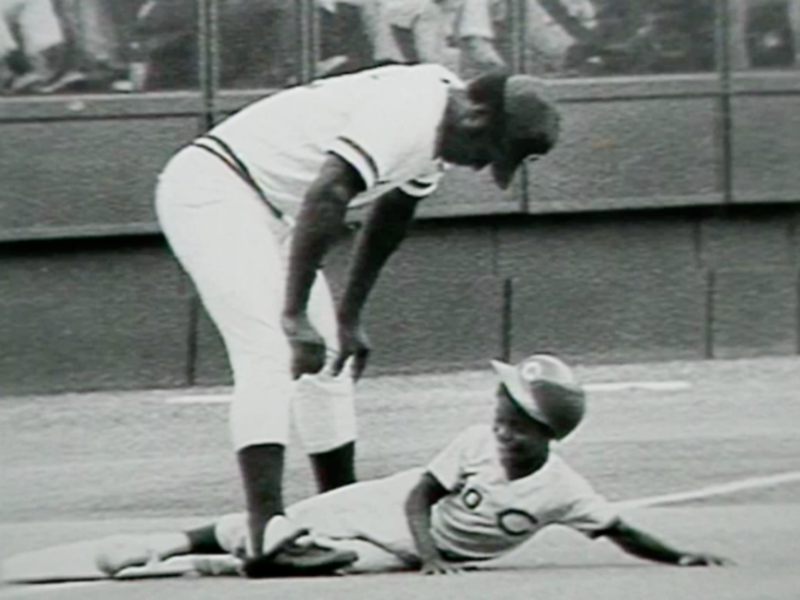 Ken Griffey Jr. slides into third base during a Reds Father and Son Game with his dad, Reds outfielder Ken Griffey Sr.
"The game came so easy for him," Cameron said. "Barry Larkin worked very hard at it. Not that Ken didn't. But Ken just could do it. That's the biggest difference I saw on all of them. Buddy Bell, David Bell, Mike Bell. Billy Long, the pitcher. Len Matuszek. Kenny was heads above." The draft did not get the kind of attention it does now. Brian Goldberg, Griffey's longtime agent, met with Ken Sr. before the draft. "Ken told me, 'The scouts have been coming over. He's going to get picked high. I don't know how high. You know I don't get to see him play because I'm still playing,' " Goldberg said. Cameron realized that Seattle was focusing on Junior. "Seattle started spending a lot of time here," Cameron said. "They were trying to get as much background on him as possible, especially on his personality. 'Was he going to be the type of guy who was going to put in the work, put in the time? Did he really want to be a baseball player? Was he wavering on should I go to school or this or that?' When they showed that type of interest, I knew." 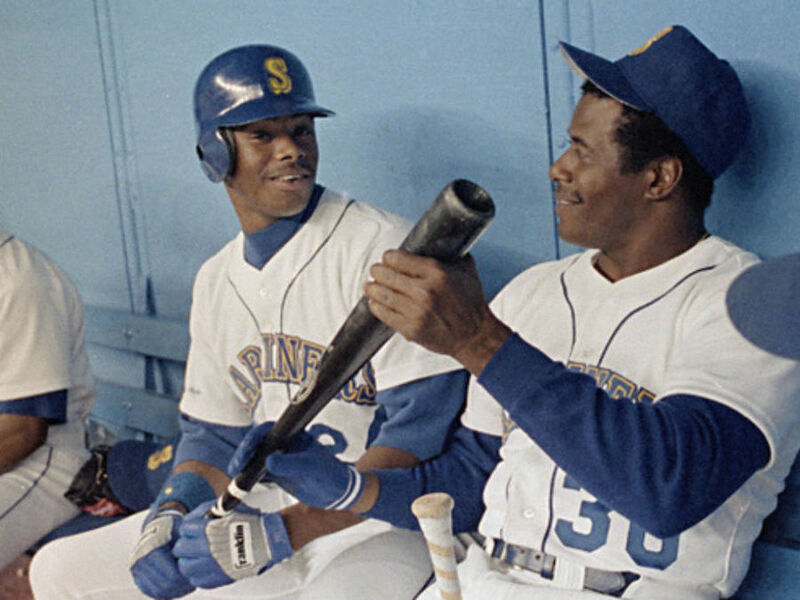 Seattle picked Griffey No. 1 on June 2, 1987. No one ever questioned the pick. 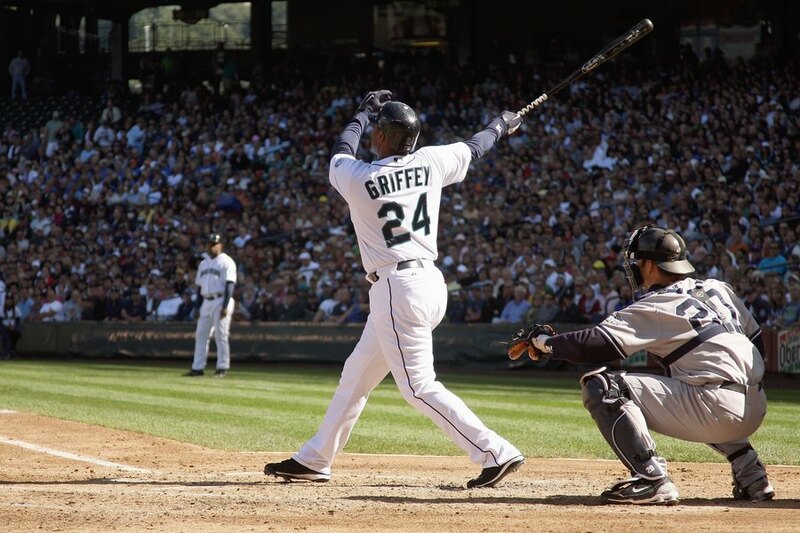 With the Mariners, the Griffeys hit father-and-son back-to-back home runs. It had never happened in Major League Baseball before and it hasn't happened since. Griffey hit .313 with 14 home runs and 40 RBI in 54 games for Bellingham as a 17-year-old. He tore it up in the minors the next year, getting to Double-A. He made the Mariners as a non-roster invitee in 1989. A teammate remarked that "high school cost Junior four years of service time." That was a slight exaggeration. But Griffey was the best player in baseball by the time he was 23. Ken Griffey Jr. of the Seattle Mariners makes a hit during the game against the New York Yankees on Sept. 20, 2009 at Safeco Field in Seattle, Washington. He would go on to hit 660 home runs, win 10 Gold Gloves and make all those scouts at Oak Hills that day 30 years ago look very smart. VIDEO: Watch 9 great moments in Junior's major-league career.